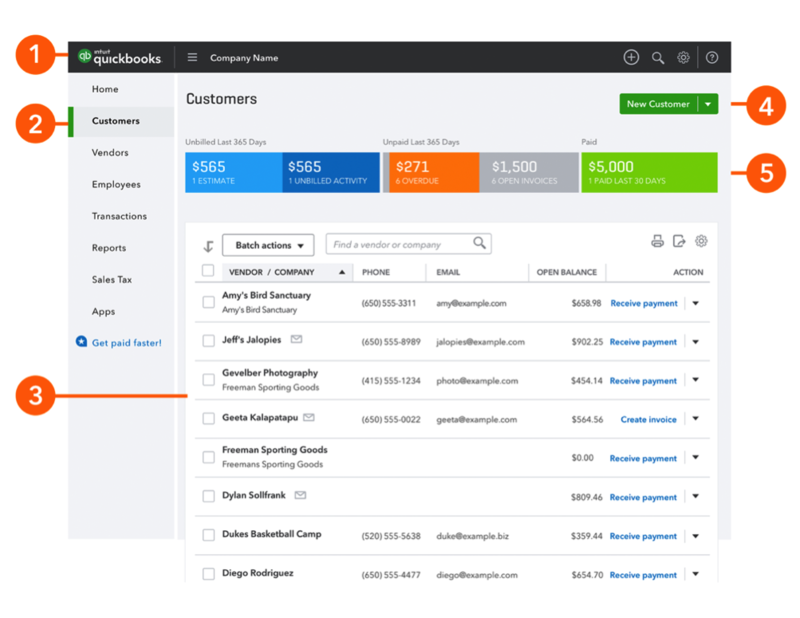 The last time you sign into QuickBooks® Online (QBO) or QuickBooks Online Accountant (QBOA), you probably noticed that things look a little different. 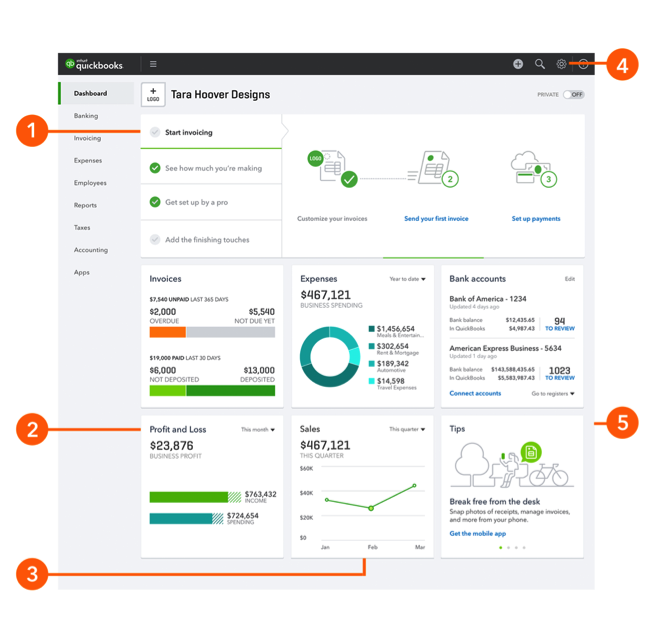 The streamlined design makes working in QuickBooks even easier, and brings consistency across all QuickBooks products, including QBO, QBOA, QuickBooks Self-Employed, Payroll, Payments and others. For example, we’ve reorganized things and simplified our color palette. These simple adjustments removed some distractions so that you can prioritize and get to work faster. 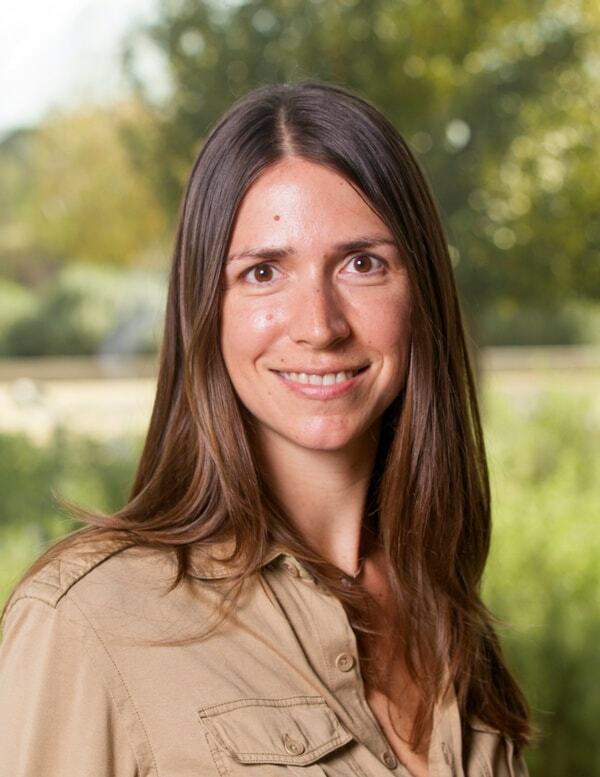 To help you get your bearings, here’s some of the key changes you can expect. 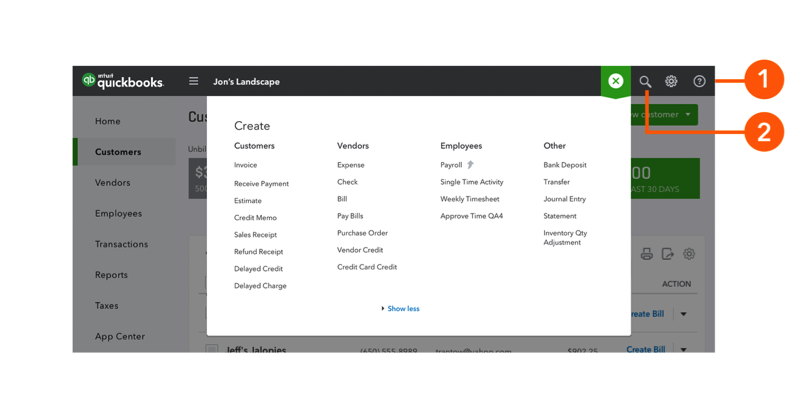 New user onboarding: Simple steps to help get new users up and running with QuickBooks Online. 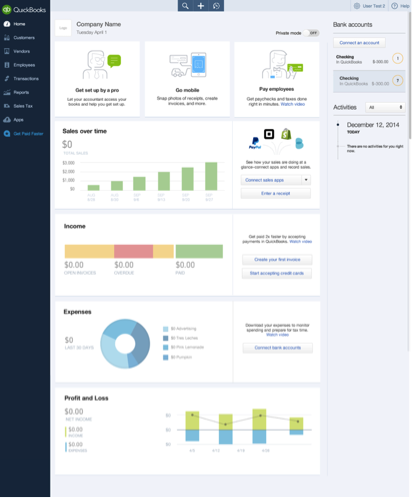 Profit and Loss: Profit and Loss charts now include downloaded bank transactions that convert to solid lines, once you review and accept them into QuickBooks online. Sales: Updated line graph showing revenue over time. 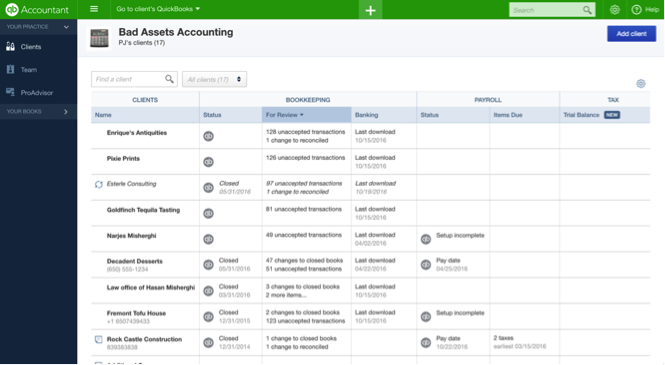 Activity Feed: Find all your activities in the audit log, using the gear icon in the top navigation. 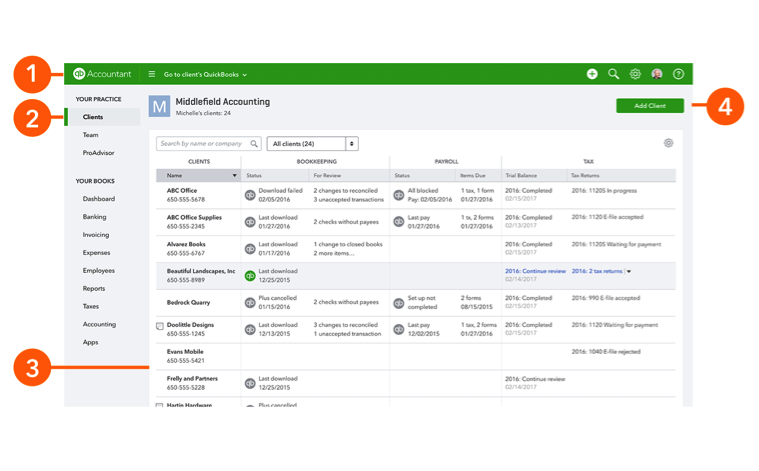 Header: The header bar remains green to distinguish your QuickBooks Online Accountant dashboard from your clients’ dashboard. 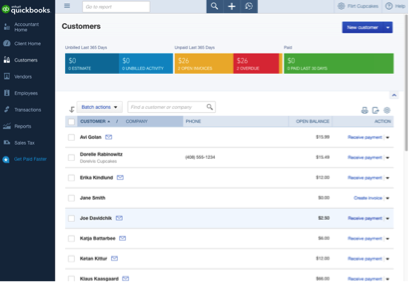 Check it out for yourself, and stay tuned for more updates in the future!